- Catch all for fallen pine needled and ornaments,make your floor keep clean. Soft warm and useful: High quality plush fabric material with soft and comfortable texture and impeccable crafts. The favorite spot for pets in winter and keep pine debris water and sap that may drip from your tree off floors or carpet. 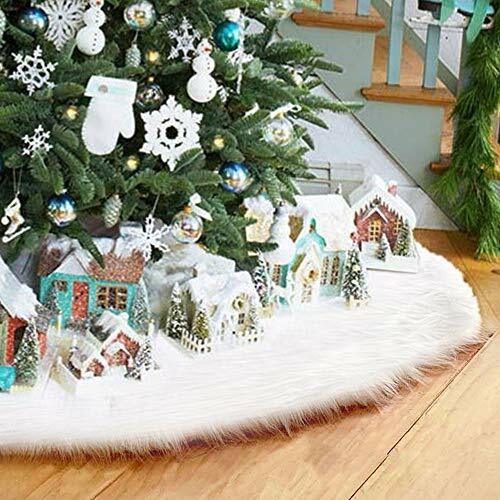 Perfect home decor for Christmas, wedding, engagement, anniversary, party,It is also a great choice for commercial holiday decorations. If you have any questions about this product by LITTLEGRASS, contact us by completing and submitting the form below. If you are looking for a specif part number, please include it with your message.